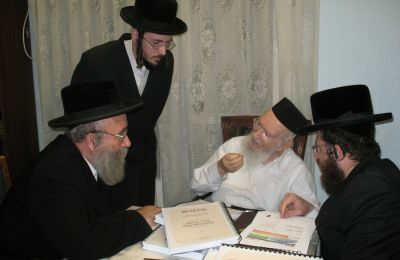 Harav Yosef Shalom Elyashiv being updated on the latest activities at Hidabroot and advising them on future activities. "I envy your Olam Haba. 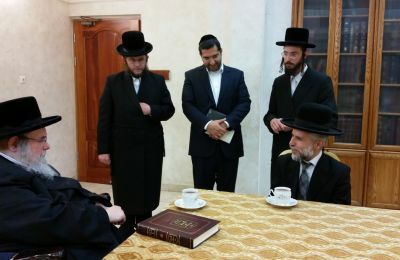 Fortunate are they who donate to your cause…"
Harav Aryeh Leib Shteinman with Harav Shmiel Lazer Shtern, member of R' Wosner's Bais Din, and part of the Rabinical Board of Hidabroot. 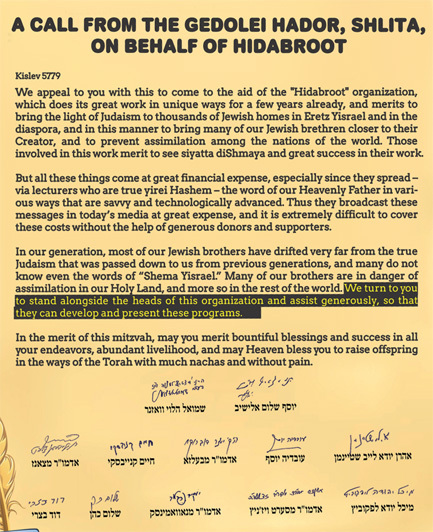 "I support this mitzvah, and urge anyone who can help to please do so with an open hand and a generous heart, and they will be blessed with abundant kindness from Above"
"It is moving to see the organization’s tremendous activities. 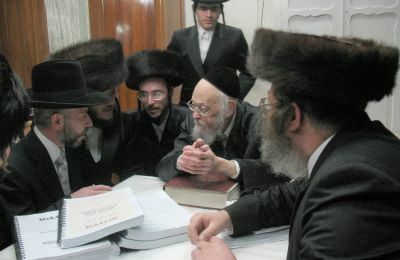 You must publicize it so that all of Klal Yisroel can have the merit of supporting your work." "You are saving the Jewish People!" 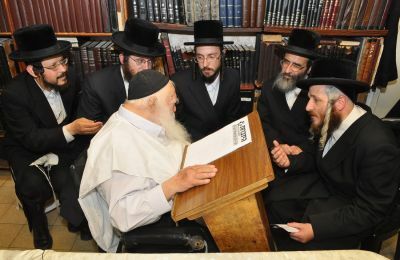 Harav Ovadiah Yosef showing his appreciation for Hidabroot at their annual kenes in Yad Eliyahu. 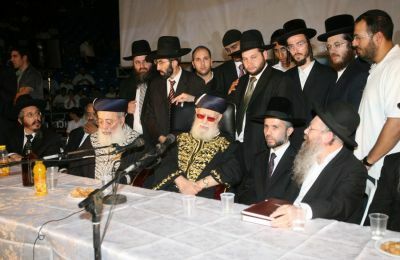 Hidabroot Chairman Rav Zamir Cohen is at his right. 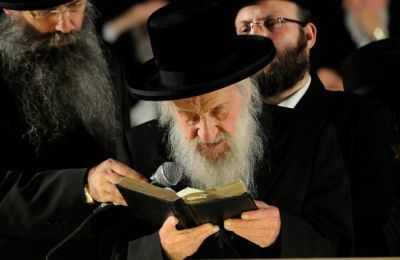 "Whoever helps to bring Jews closer to Yiddishkeit will be spared from difficulties and sorrow in raising children"
Harav Chaim Kanievsky going over the list of phone calls that came in as a result of the shows. 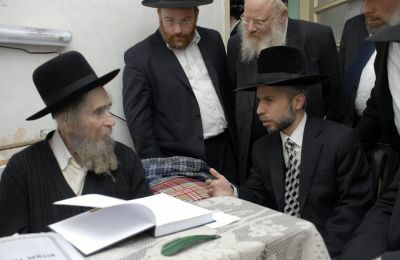 "We’ve been waiting 50 years for this organization, which has been successful at bringing Yiddishkeit into every home. What takes others a long time to accomplish Hidabroot can do in a day." "I am personally aware of the wonderful activities of Hidabroot." 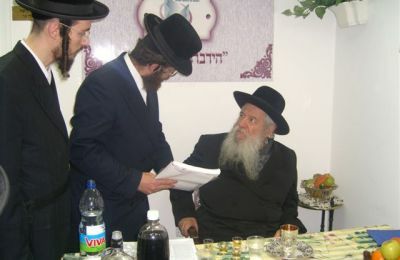 The Mekubal Rav Dovid Batzri blessing the donors of Hidabroot. "You are our messengers to bring the words of Hashem to our lost brothers and sisters. I am with you, and will try to assist you, whenever, and wherever, possible."